Hosting a baby or bridal shower anytime soon? 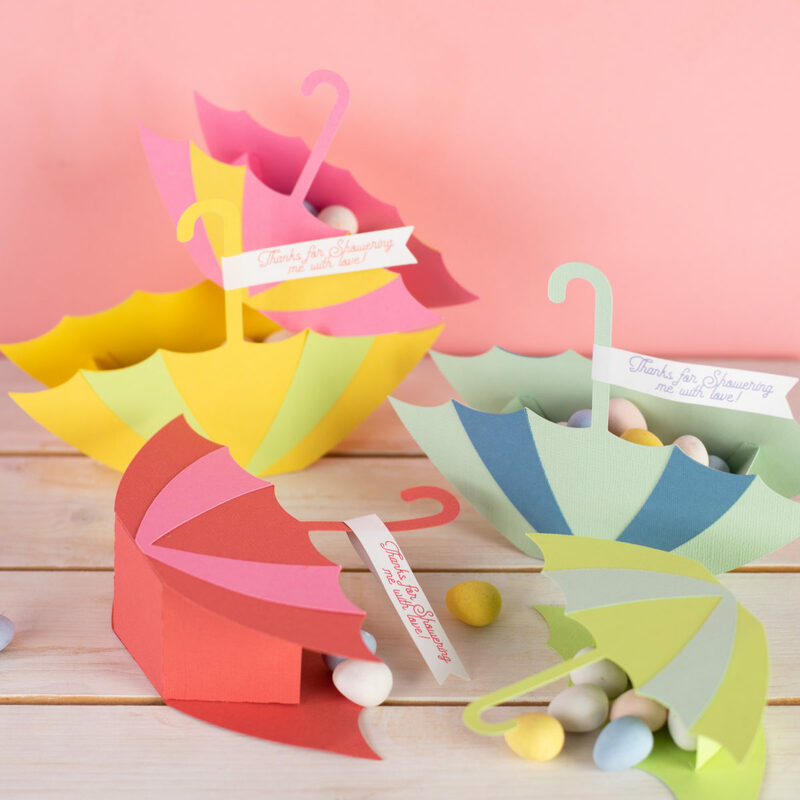 These paper umbrella favor boxes make the sweetest favors for your guests to take home. They’re a cinch to make with your Cameo or Portrait. Add a lovely sentiment flag and fill them with candies, and they’re even sweeter! 1. 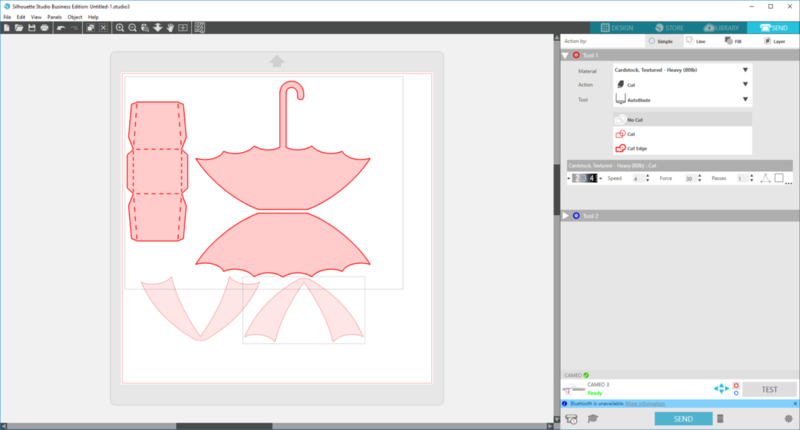 Open the Silhouette Studio® and download the Umbrella Box Design (Design ID #213505). 2. Adjust the size of the box if desired. I made three boxes in the original size and decreased the size of two boxes by about an inch. 3. Ungroup the design, delete the eyes, and fill the pieces with two different colors to represent the cardstock colors of your choice. 1. 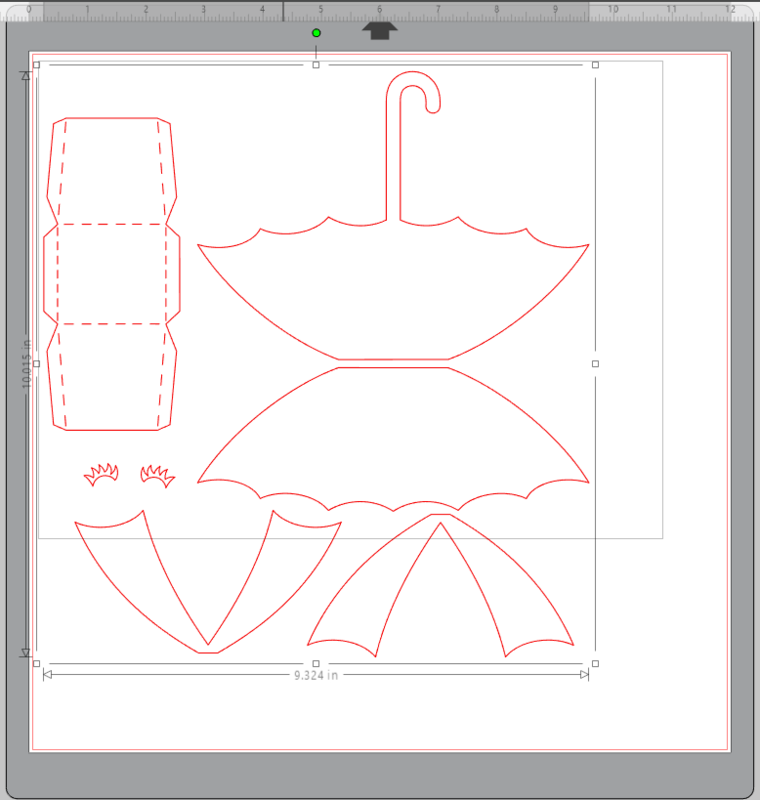 Cut out the umbrella components using the “Cardstock, Textured – Heavy” as your material in the Send panel. Load one color of cardstock onto your cutting mat and into your machine. 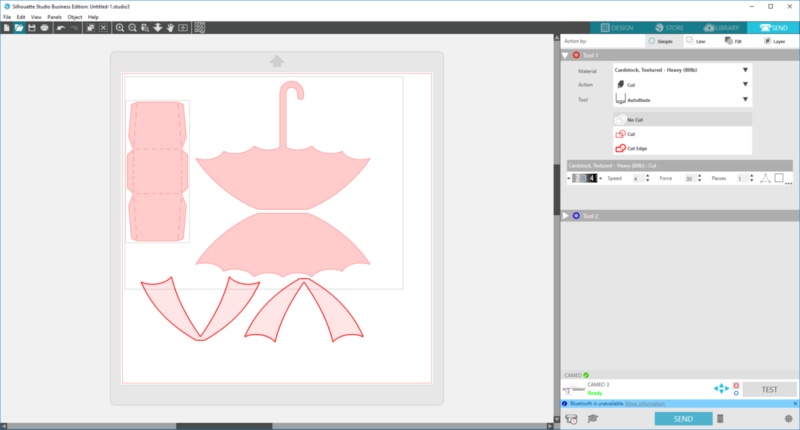 Make sure you either move the items you aren’t currently cutting away from the design space or select the items and then select “No Cut” so that your Silhouette knows not to cut these items right away. 3. 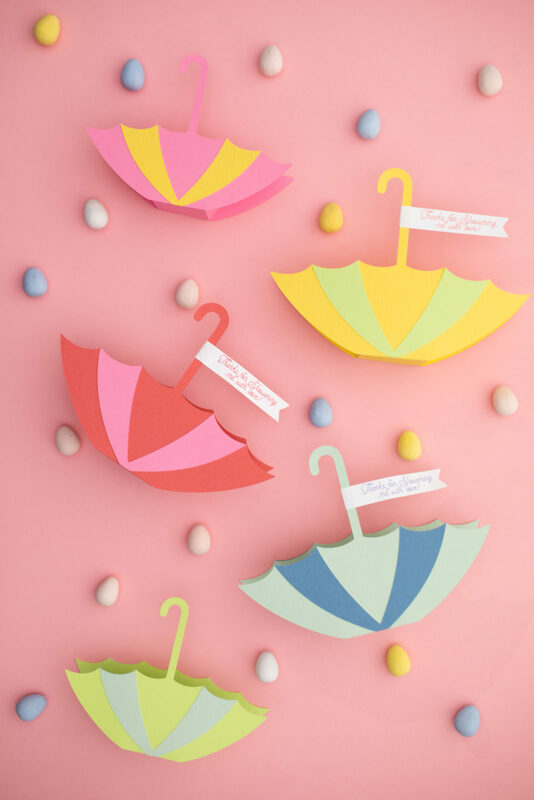 Once you’ve cut all your elements, assemble the boxes by gluing the stripes onto the umbrella. 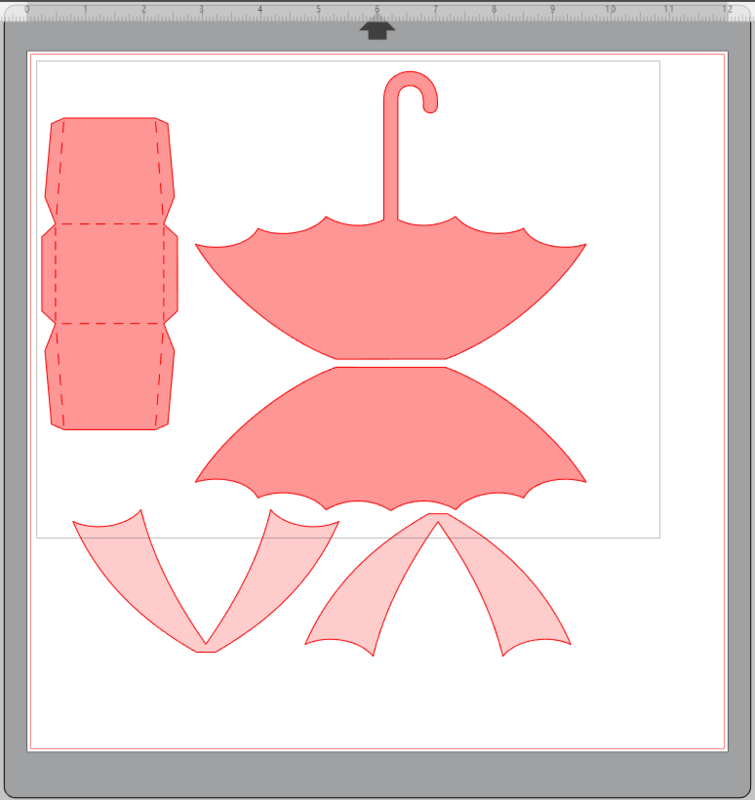 Then fold the scored lines and glue the tabs to the umbrella front and back. 4. 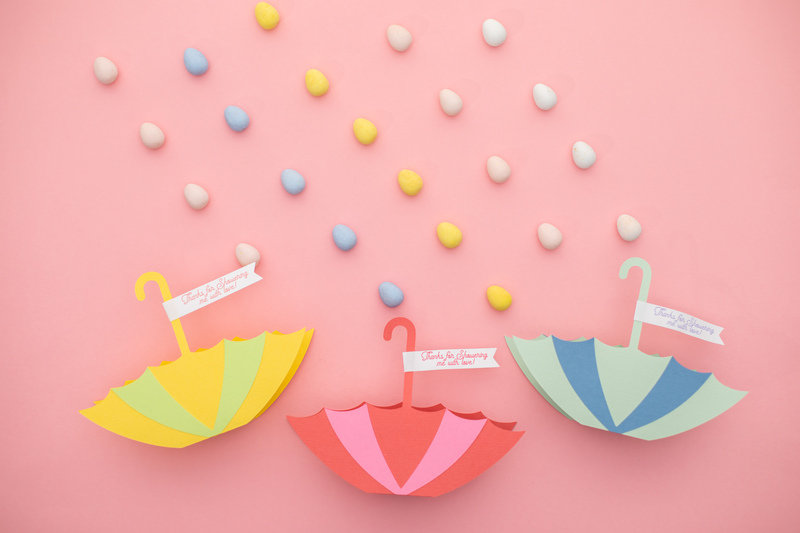 Add a little flag with a sentiment like, “Thanks for showering me with love!” or “Thank you Rain or Shine!” Fill with pretty candies—we used chocolate covered eggs that look a little like raindrops!